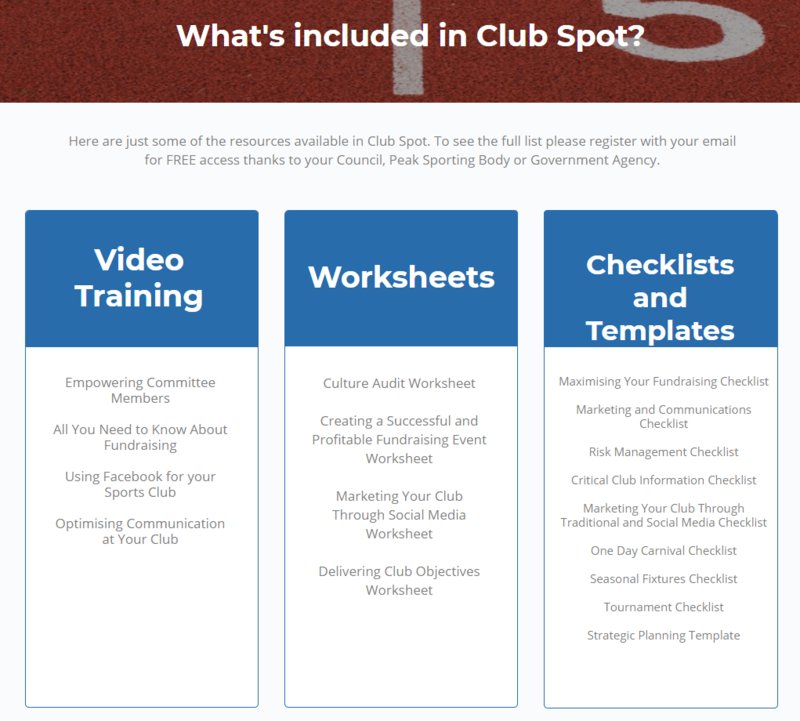 Your council, peak sports body or governing body has purchased Club Spot so it can provide its affiliate clubs and their members with free training and support resources to help and support club members and volunteers. Already a member of Club Spot? Register for your Club Spot now. Check out our Club Spot product in-depth and why not book a time with one of our friendly staff to discuss Club Spot. Thanks to the support of your Council, Peak Sporting Body or Government Agency, Sports Community is able to offer you FREE access to your very own Club Spot. 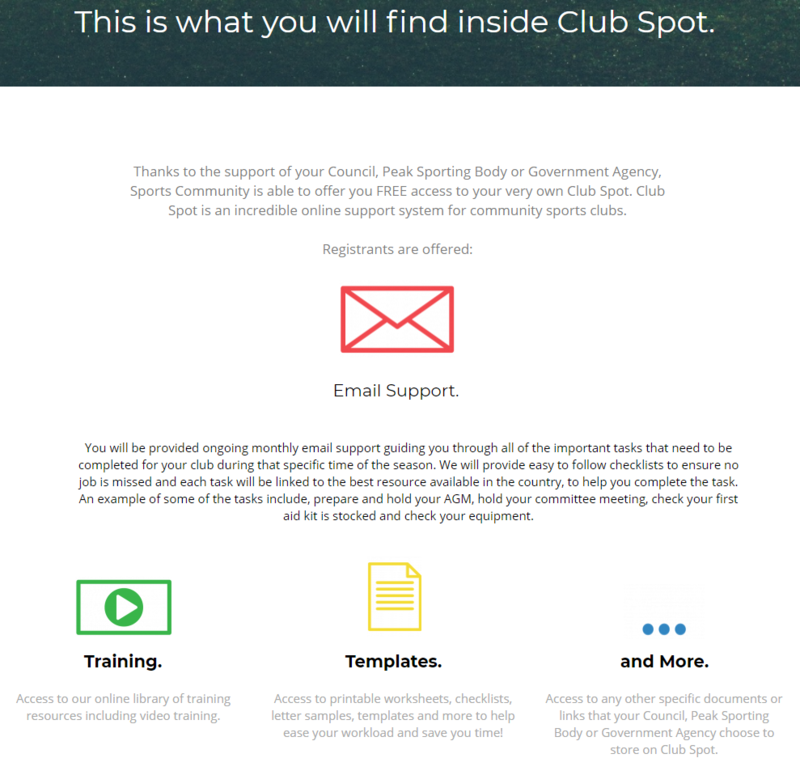 Club Spot is an incredible online support system for community sports clubs.